RUN-FAST BIRMINGHAM is a new initiative that supports a team of eight elite middle and long-distance runners based at Birmingham University. The launch of this new team took place alongside the second edition of Bud’s Run on Saturday afternoon. The team is the brainchild of Run-Fast Sports Management Agency and marks the first time that a British university is partnering with a management agency for the purpose of establishing a more professional training environment for its elite athletes. The team will be sponsored by adidas and all eight team members are aiming for selection for the 2016 Olympic Games in Rio and the 2017 World Athletics Championships in London. 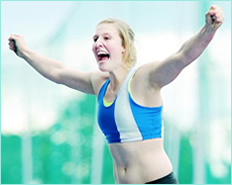 Aged between 21 and 27, the eight athletes on the team represent a stock of rising talent. Five of the eight athletes have already won national titles; six have represented their country at international championships. 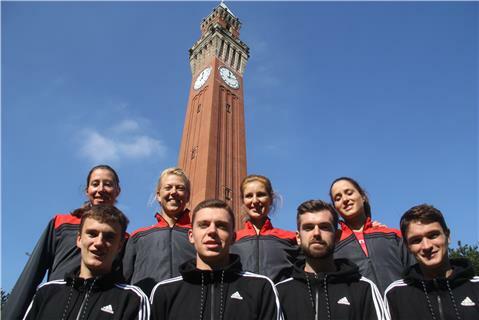 All eight live and train at Birmingham University under the guidance of former international athlete Luke Gunn and renowned national endurance coach Bud Baldaro. In recent years Birmingham has come to be considered as one of Britain’s elite performance centres for middle and long-distance running. The Run-Fast Birmingham team members are Jonathan Davies (handicap-5.2) aged 20; Ben Waterman (handicap -4.8) aged 22; Andrew Heyes (handicap -5.4) aged 25; Rich Peters (handicap -3.3 ) aged 25; Pippa Woolven (handicap 3.8) aged 22; Sara Treacy (handicap 0.0) aged 26; Alison Leonard (handicap -1.4) aged 25; and Julia Cooke (handicap -0.7) aged 27. 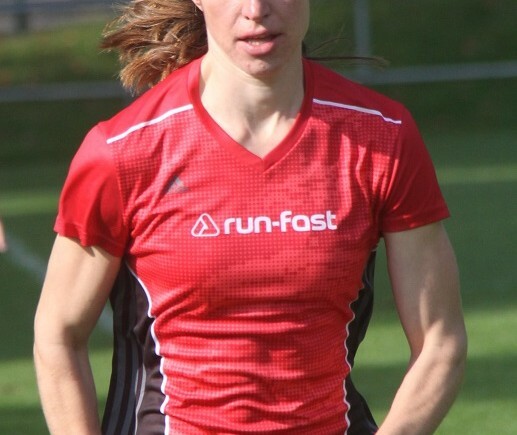 Alison – now in the Senior ranks – has won international 800m Races in Belgium this year, was selected to run for GB in the European Team Championships in Russia and, as well as winning the BUPA Westminster Mile, also ran the qualification time for the World Championships. She has taken the very courageous decision to go full time even though this has meant having to finance herself. 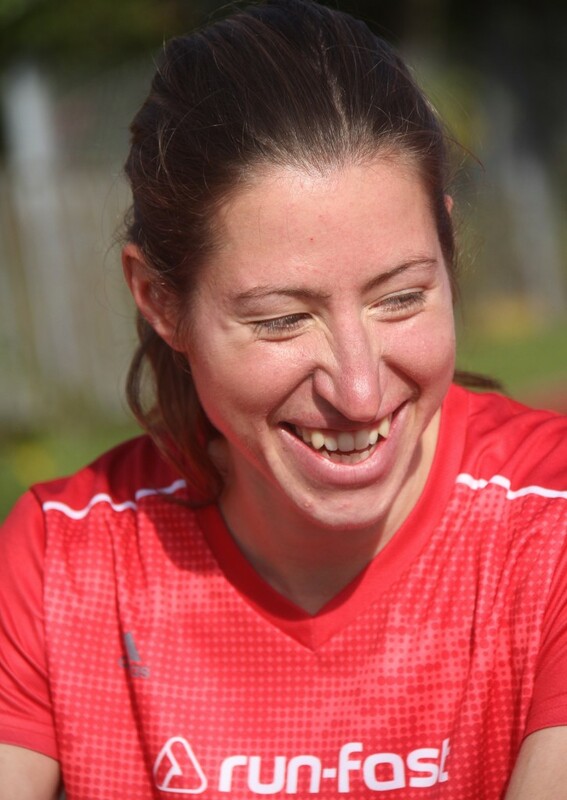 “I was invited to become part of the new Run Fast Birmingham group this autumn and was really keen to be involved with a group that fits with the way I see our sport; with a love for athletics and interest in athlete development at the heart of everything. The transition from junior to senior especially when leaving university is difficult for many and Run Fast are hoping to support eight of us to take that step to the next level, by helping us get into races, securing us kit from Adidas and general support. It’s also great to be part of a team with people I already know and love training with; I’ve known some of the team since I was a fresher at Birmingham in 2008. I’m excited to see what this opportunity will bring especially in the build up to Rio next year; I need to give myself the best possible chance of making the team, and I think being part of Run Fast Birmingham is really going to boost my chances”.